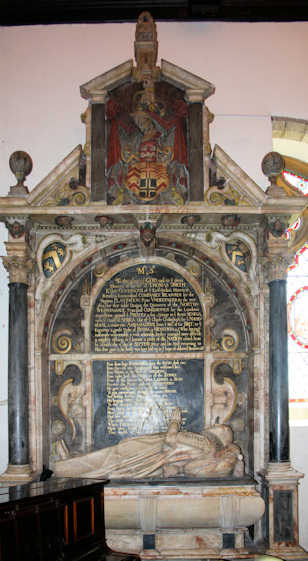 The charity’s objects are to provide benefits for poor people in the ecclesiastical parish of Shorne. There were many pre-reformation charitable bequests to the parish and these old parish charities were reorganised in the 20th century and combined into one charity known as Shorne United Charities. Here is the story of the constituent charities. In 1618 Henry Adams, a wealthy member of the Cutlers Company, gave to the village “Where I was born”, he says, a somewhat complicated legacy. He bequeathed ten shillings a year to be paid to the man who should collect the whole legacy, ten shillings a year to be paid to a Godly preacher for a sermon on the anniversary of his death, and ten pounds a year to be distributed on the same anniversary amongst the oldest and poorest of the parish. He happened to die on the 29th June, St Peter’s Day and so St. Peter’s day and the payment of “Peter’s Pence” as it was called in the village became an important event in the local church calendar. Then, to the tolling of the church bell, the poor would assemble at the church, listen to a Godly sermon, and receive their dole of a few shillings each at the church porch. Not long afterwards in 1625 Richard Cheney, also of London, gave forty shillings a year to be distributed quarterly amongst the poor of the parish.In the 18th century Mrs Elizabeth Gordon bequeathed a sum of money to be invested and the income used to provide bread and coal for the poor — an early indication of the growing dislike amongst the more pious church people of mere money being given to the poor which they might spend on drink. About 1839 Mrs Sarah Bevan, heiress to one of the village tanners, left £200 to augment Mrs Gordon’s bequest. From 1822 the needy in the village benefited from £25 a year from the Sir Thomas Smyth Trust which was administered by the Skinners Company. Sir Thomas died in 1625 and had been a merchant of some substance as a governor of the East India and other similar companies, treasurer for the Virginian Plantation, a prime mover in the discovery of the North West Passage, a Commissioner for the London Expedition against Pirates, Ambassador to Russia and a commissioner of the Royal Navy. His memorial is in Sutton-at-Hone Church. When the Shorne United Charities was formed the Charity Commission directed that it should receive this payment. It was commuted by payment of a lump sum in 1973 which was invested to provide income. There was also a sum of ten shilings a year paid by the lessees of the rectorial tithes under their leases commonly called “Parsonage money”. Latterly it was paid by the Dean & Chapter of Rochester Cathedral as owner of the tithes before they were abolished. It was also combined with the other charities.